Can anyone guess as to the significance of the number pairings above? Probably not, but if you were told it has something to do with the four-year, $52 million contract Miles Plumlee is receiving from the Milwaukee Bucks you might be closer to the correct answer. Before starting in with specifics, a few housekeeping items are in order. As noted a couple months back, this website will continue to occasionally put out a piece or two when your SOB Editor feels the time and motivation to write something. This site will not be a regular source of Bucks content, as there are many great blogs and podcasts out there doing that on a regular basis. As a note to that, our spokesman Paul Henning, is currently doing active Bucks blogging at his site BrewCityBucks.com, a worthwhile visit if you have not already. Despite the avalanche of excellent Plumlee commentary out there, your SOB editor occasionally stumbles across a thought or two that the Bucks online community either didn’t address or didn’t fully develop in long-form discussion afforded by this platform. The Plumlee contract brought on a gold rush of historical context thoughts regarding the Bucks and restricted free agency that hopefully you find worth reading. We commence the piece below with the negative aspect of the deal, i.e. how the Bucks once again failed to use the power of restricted free agency to re-sign a bench player. Then we’ll pivot to a possible point of light as to how the Plumlee contract might be useful in the future, ala Mark Cuban and the Dallas Mavericks. Here are the backstories to the numbers cited above. 8-3 represents the record of the Milwaukee Bucks during the 11 games of the 2014-15 season when John Henson was the starting center for the Bucks. 8-4 represents the record of the Milwaukee Bucks for the games that Charlie Bell started during the month of December during the 2006-07 season. 6-6 represents the record of the Milwaukee Bucks during the stretch last spring where Miles Plumlee started at center during the 2015-16 season. We’ll keep this short. The three players cited above all signed lucrative contracts the summer following those “winning streaks” based in part on how the team performed during a limited run as a starter. So point #1 on the Plumlee contract, which many of you have already made, is perhaps the Bucks should wait until they actually have a 50-game winning core before bestowing large dollars on players who previously had been considered bench players at best or had not proven themselves as above average or even average starters. The more important lesson is that of using the restricted free agency process to benefit the organization. After the 1995 collective bargaining debacle whereby rookies were given a scale contract but allowed to become unrestricted free agents after only three seasons, the league and players union introduced a modification to rookie contracts in 1999, creating a season of “restricted free agency” or “RFA” for new players entering the league. For most rookies drafted in round one as Plumlee was, it means that after their fourth season in the league they are allowed to go out and test the market for a new contract. However, the team that holds their restricted free agent rights (in this case the Bucks) are allowed to match any offer. The entire purpose of the provision is to allow teams leverage to retain their “average” free agents after four years in the league. Players who are superstars such as Anthony Davis or Derrick Rose usually never reach RFA, as their teams sign them to max contract extensions after their third season in the league. The RFA provision has been used very successfully by the Bucks in the past 15 years and yet there were times the Bucks eschewed the process and signed their RFA’s to a contract before any formal offer from another team was publicly made. The list above isn’t necessarily inclusive of all major contract moves between 1999-2016, it is only based on your SOB Editor’s recollection relating to initial contract extensions and the RFA process. Any additions or corrections to the list that are accretive to the discussion are welcome. The main point of the list above is that outside of Khris Middleton, the record of the Bucks organization in extending contracts to players without using the restricted free agency process is very questionable. And other than Charlie Bell, the restricted free agency process provided fantastic value contracts for either the Bucks or the team the Bucks allowed the player to move to. In the case of Michael Redd, the team was able to audition him for another three seasons, during which he proved he was not only a core starter, but an all-star, before the team needed to resign him to his 6-year/$90 million dollar contract in 2005. 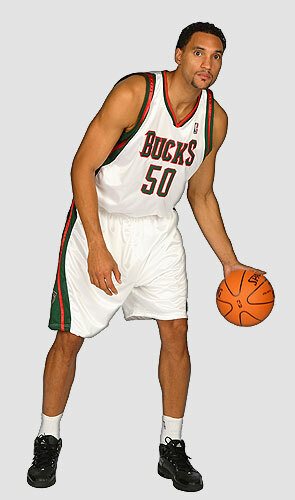 One can speculate that the Bucks didn’t panic with Redd on his contract in 2002 precisely because the team was still in the afterglow of the 2001 ECF appearance and had Ray Allen ahead of Redd on the depth chart. In other words, because the organization was experiencing success at the time, they didn’t feel the need to panic or cave to the demands of an agent. In the case of Dan Gadzuric, the team panicked that the Atlanta Hawks might use their salary cap space to sign Gadzuric to a contract worth $42 million that might be structured in such a way as to be less cap friendly to the Bucks. Rather than let the process play out, the team and then GM Larry Harris jumped the gun and inked Gadzuric to that long-term deal. Ironically the Hawks then turned their sites on the Bucks other RFA, ZaZa Pachulia, signing him to a 4 year/$16 million dollar offer sheet that the Bucks clearly should have matched. In the ZaZa case, the market and the process worked perfectly and ZaZa was fairly paid during the life of that contract. In Gadzuric’s case the contract was a millstone for five years, later being used by John Hammond to deal for Corey Maggette. As a side note to the Ramon Sessions offer sheet, the Bucks used the power of restricted free agent rights to almost strike a blockbuster sign and trade deal with the Knicks during the last week of July in 2009. For a brief moment it looked as though the Bucks would be sending a newly signed Sessions along with the expiring contracts of Kurt Thomas and Bruce Bowen to the Knicks for David Lee, Jared Jeffries and Danilo Galinari. The impetus behind those trade discussions was new Knicks coach Mike D’Antoni looking for a PG to run his system and Knicks GM Donnie Walsh trying to ensure the Knicks had maximum salary cap space for the following year when LeBron, Wade, Bosh, etc. would be free agents. Unfortunately that deal fell apart. However it was an example of the Bucks using the RFA process to their advantage, which they later successfully did with Brandon Jennings in the above referenced Pistons trade. In talking with people inside the Bucks organization over the years, the common response to the player contracts listed above has been that given Milwaukee’s small market/cold weather status, the team has to be proactive in signing their own players before they’d either hit RFA or be forced to find another team to offer them a contract. The point being that if the player wasn’t offered a lucrative contract from the Bucks, the process of having them obtain a contract offer from another team would cause bad blood between the two parties that wouldn’t be good for team chemistry in the long-run. Further, some players and their agents threaten to simply play out their last year of RFA and become an unrestricted free agent the following year, as Greg Monroe did to the Pistons last season. In other words, the player walks without any compensation. As a starter for 14 games last season, Plumlee averaged 6.6ppg and 5.4 rpg in 20mpg. There is no question that at times during that run he played very well as a compliment to Giannis at PG. As Bucks fans, we were all pretty excited about how Plumlee looked in that limited role as starting center, if you put aside the fact the Bucks already had invested a guaranteed $95 million in John Henson and Greg Monroe six-months earlier. Was there a downside to letting Plumlee obtain an RFA offer sheet from another team? From the fan in the stands perspective, the answer is no. At this time in late July, few teams had cap room to offer Plumlee anything close to the 4/$52 he received from the Bucks. Further, as the big-man market dried up, centers such as Tyler Zeller and Festus Ezeli were signing contracts in the 2/$16 range. Those are all legitimate reasons to sign Plumlee to a new contract. But in fairness, many of those same crib notes were used by Plumlee’s agent Mark Bartelstein during his negotiations with the Bucks over Charlie Bell and used by the agent for Dan Gadzuric in 2005. Agent Bartelstein in particular had Bell go on a dog and pony show trip to Greece in order to try and generate leverage against Kohl that Bell would be likely playing overseas for the Greek pro team Olympiacos should he not get an improved contract offer from the Bucks. The question is whether or not you can easily replace a player of Plumlee’s caliber should he leave. For Bucks fans invested in the promise of a “new” front office, the Plumlee deal is a head scratcher as it seems reminiscent of prior years when Senator Kohl’s front office team would panic over free agents and sometimes not allow the RFA process to work. During those times of bad free agent contracts under Kohl, the team was arguably under more pressure to “win now” as the overhang of the team leaving town and the fight for a new arena was ever present in the background. Thankfully the team is not under quite as much pressure to make moves in an effort to obtain the “8th seed” as in years past. Is the Plumlee contract all doom and gloom? Perhaps not. It is plausible the Bucks make a very good trade of Greg Monroe or John Henson in over the next two-months and enter training camp needing Plumlee to take the reigns as starting center. Unlike Gadzuric, at least with Plumlee we have his record of starting 79 games on the 2013-14 Suns who went 48-34 that season with Plumlee in the pivot (we’ll gloss over the fact that the following season Plumlee was evidently so on the outs with Phoenix that he was a throw-in on the Brandon Knight trade). Fans at the Bradley Center next season may be cheering numerous dunks thrown down by the “Plumlord” courtesy of pinpoint lobs from Giannis. If however the Plumlee contract turns out to be a giant mistake, there is another silver lining. 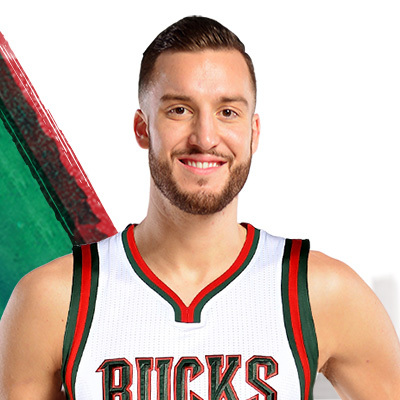 It does create a large “salary slot” that the Bucks could potentially use in trades two or three years down the road. This was a feature and not a bug of the generous contract strategy employed by Mark Cuban during the Mav’s prime years with Dirk Nowitzki. Cuban knew that in order to field a competitive club, his team would be well over the salary cap (and in some cases the luxury tax). As a result, there would be less flexibility to put players around Dirk as the Mav’s could not be players in free agency, nor have cap room to absorb other players. The Bucks are likely to be entering such a time of salary cap inflexibility in the next 12-months as they likely extend the contracts of Giannis and Jabari. 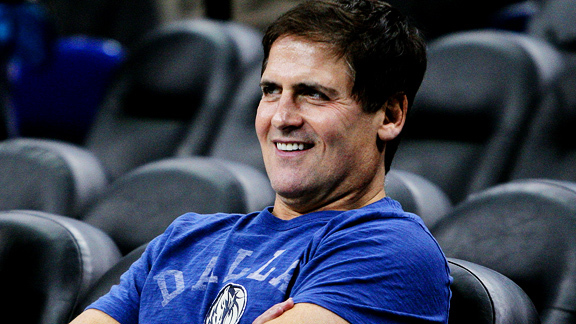 What Cuban did was an endless string of moves over the years, trading overpaid players with large contracts who proved to not fit the Mavericks roster in order to obtain a player who might be a better fit. An example of this is the 7-year/$73 million contract Cuban signed Erick Dampier to in 2004. That contract was later used by the Mavericks to acquire Tyson Chandler, who was a key member of their 2011 title team. Now granted Dampier’s situation was a bit different since the last year of his contract was not guaranteed, thus making it more easily tradeable. Nonetheless, his salary slot allowed a capped out Mavericks team to acquire Chandler. At the trade deadline in 2008 the Mavericks creatively used the large salary slot and contract rights to Keith Van Horn (then retired) to bring in Jason Kidd, another key member of their 2011 title team. The names and contracts of players such as Jerry Stackhouse, Devean George, Marquis Daniels, Antawn Jamison, Raef LaFrentz and others were cycled endlessly over a decade long period that resulted in the 2006 Finals appearance, the 2011 Championship and a string of 50-win seasons for Dallas. Did Cuban make numerous shrewd player moves during that period? Arguably not, as he let his best free agent, Steve Nash, walk to the Phoenix Suns in 2004 over concerns regarding Nash’s injury history and durability. Nonetheless Cuban was relentless in turning over his roster in an attempt to find the right people to surround Dirk, and he used large salary slots as a key part of that strategy. This entry was posted in Articles on July 24, 2016 by SOB Editor. just a question. is john Hammond in charge, or is Jason kidd and new owners meddling in the resent decisions. don’t approve of Giannis being point guard,or Michael carter-Williams being traded or how greg Monroe is on the bench. I can understand any team not wanting to lose an asset, but the Bucks’ biggest issue is proper talent evaluation. I can understand having to pay the “Milwaukee tax” to keep or sign a player, but paying $13 million a year for a player worth half that is ridiculous. Easy arguments can be made that players like Cole Aldrich, Dwayne Dedmon and Tyler Zeller are superior players, yet Plumlee gets a higher per-year salary over more years than all of them. And, to “go there,” could it be the front office was trying to save face from the outcome of the disastrous Knight-MCW trade so they could point to Plumlee as a great throw-in? Personally, I’d much rather lose a guy of Plumlee’s caliber for nothing than be saddled with four years of a horrible contract that cripples your team’s short- and long-term salary outlook. This is how you get stuck trading garbage for garbage year-in and year-out, a trademark of this front office. And wasting valuable salary cap space on garbage contracts is how you drive out franchise cornerstones like Giannis and Jabari. For a team like the Bucks in a market like Milwaukee, you need to be near perfect with your personnel decisions. These continual missteps are what have prevented this franchise from advancing beyond the first round of the playoffs, if they even make the playoffs at all.